Tasco binoculars offer a selection of compact and full size binoculars which feature BK-7 prisms, some roof and some porro. Tasco binoculars come with waterproof/fogproof/shockproof construction for all-weather reliability and rugged rubber armor. These optics are multi-coated for superior light transmission. 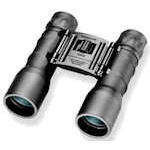 Tasco Essentials binoculars are a very broad line of economical porro prism binoculars. Essentials binoculars are made with durable rubber armoring and coated lenses. They are available in compact, mid-sized and full-sized models and in plain black and camouflage armoring. Some feature a zip focus option or up to 16x magnification. 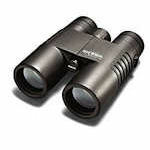 Tasco Sierra binoculars are a diverse line of inexpensive roof prism binoculars. Sierra binoculars feature waterproof, and fog-proof construction and multi-coated optics. Tasco Sierra binoculars come in 8x25 and 10x25 compact models as well as full-sized 10x42 and 12x50 versions.